Written to express how it feels for me most of the time as I am constantly composing quotes, blog posts, the book I dream of publishing and much more! I seem to be bombarded by inspiration every waking moment which leads to a very confused mind as I don’t know where to start. So I make notes all of the time trying to keep hold of my thoughts wondering if everyone has this problem or if it’s just me. 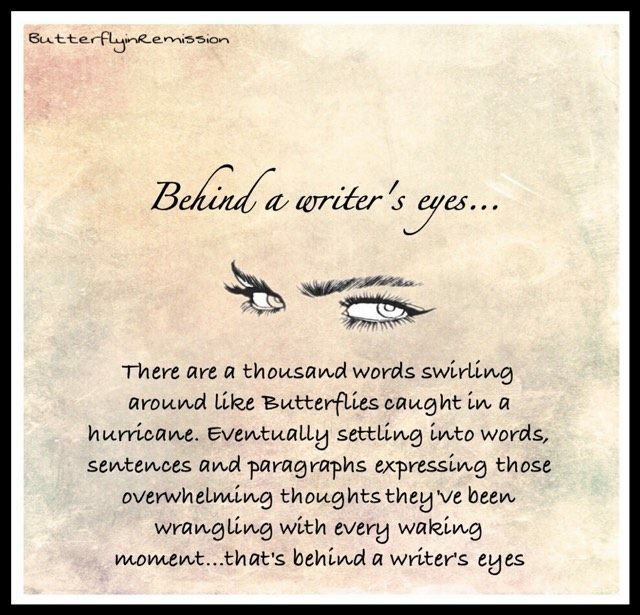 This is what’s behind my writer’s eyes…so much more than you’d imagine! As a sign of gratitude for how my wife was saved from CANCER, i decided to reach out to those still suffering from this.